The HIPAA Security Rule requires HIPAA-covered entities to ensure the confidentiality, integrity, and availability of electronic protected health information at all times. Healthcare organizations must ensure patients’ health is not endangered, their privacy is protected, and their identities are not compromised. A range of physical, technical, and administrative controls can be implemented to secure ePHI on servers and desktop computers, but ensuring the same level of security for mobile devices can be a major challenge. 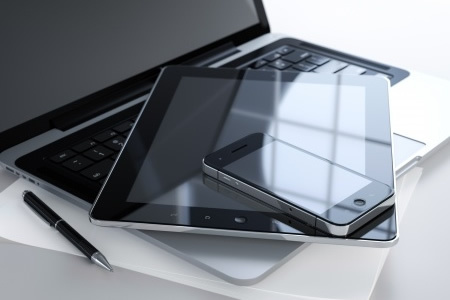 Mobile devices offer many benefits for healthcare providers. They can improve access to protected health information, ensure that data can be accessed anywhere, and they help healthcare providers improve coordination of care. However, when ePHI is stored on mobile devices such as laptops, tablets and mobile phones, or is transmitted using those devices, it is particularly vulnerable. Mobile devices are easy to lose, are often stolen, and data transmitted through mobile devices can also be vulnerable to interception. In healthcare, mobile device security is a major concern. Despite security concerns, the majority of healthcare providers are either using mobile devices or plan to implement a mobile device initiative. Mobile device usage by healthcare providers is expected to increase significantly over the next two years. To help healthcare organizations take advantage of mobile devices without violating the HIPAA Security Rule and patient privacy, the National Institute of Standards and Technology (NIST) and The National Cybersecurity Center of Excellence (NCCoE) has produced a new guide – Securing Electronic Health Records on Mobile Devices. The guide focuses on healthcare organizations that use mobile devices to review, update, and exchange electronic health records and addresses risks such as the loss or theft of devices, the hacking of devices, connecting to untrusted networks, and interaction between mobile devices and other systems. The guide explains how ePHI can be secured on mobile devices without having a negative impact on delivering quality care and offers straightforward and detailed advice on securing electronic health records on mobile devices. The guide explains how IT professionals can implement a security architecture to improve device security and better protect ePHI that is accessed, stored, or transmitted through mobile devices. The guide explains how commercially available and open-source technologies and tools can be deployed as part of a layered cybersecurity strategy to ensure ePHI can be accessed and shared securely. The guide maps security characteristics to NIST standards and best practices and to the HIPAA Security Rule and includes a detailed architecture and capabilities that address security controls. The guide provides detailed information on automated configuration of security controls for ease of use and addresses both in-house and outsourced implementations. The guide serves as a how-to guide to implement NIST’s security solution, or it can be taken as a starting point and customized to suit each individual organization. Since the guide is modular, healthcare providers can choose to implement the parts to suit their own needs. The guide (PDF) can be downloaded on this link – NIST SP 1800 – Please note the PDF file is 74 pages and may take some time to load.